The small, fanged, jellyfish-like creature called a metroid is a well known enemy in the game franchise which bears its name. However, what many people do not know is that this small creature is only a baby: metroids evolve. With the exception of a brief appearance in Metroid Fusion, the evolved forms of the metroid species can only be seen in one game, Metroid II: The Return of Samus. But is this true? 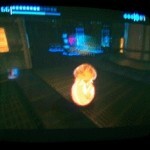 We’ve discovered a mysterious creature in Metroid Prime, an unidentified specimen which may just be an unrecognized marvel: an evolved metroid. 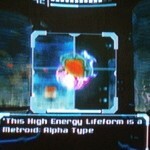 The creature in question can be found in Metroid Prime, in the Phendrana Drifts. The room is the space pirates’ Research Lab Aether. In the center of the room is a tall containment tube, with a strange specimen in it. When you first reach this room, the specimen can be seen quite clearly, though it’s difficult to get a good view of the creature due to its positioning in the tank. Later in the game, after acquiring the thermal visor, the lights in the room go out, making it impossible to see into the tank. The specimen can still be seen using the X-ray visor, or enough light can be generated with the plasma and wave beams to see into the tank. 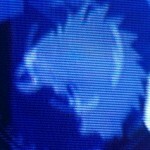 It does not appear clearly with the thermal visor, making it apparently dead or in a state of cooled hibernation. This mystery creature is not identified by any of the scans in the room, it cannot itself be scanned, and there are no known references to it in the game. The predominant theory to this point was that the creature was a heavily mutated parasite, produced from the same family as the plated parasite and the parasite queen. 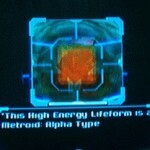 However, we believe that the creature is in fact a gamma metroid. Both theories are valid, both have supporting evidence, and neither is definite. There are many reasons that this strange creature was believed to be from the parasite family. First of all, the skin of the creature looks very similar to that of the parasite queen. It’s a very strong resemblance, and in a game with graphics like Prime’s, that can count for a lot. Furthermore, the mouth structure on the creature resembles the log book illustrations of the parasite queen’s jowls. And since we know very clearly that the pirates were experimenting with the parasites, it is reasonable to believe that this creature is merely a parasite mutation. However, there are two problems with this creature. First, it has no legs. Since there are no known species in the parasite family which can fly/levitate, it is unlikely that this creature would be able to move if it were a mutated parasite. Since the creature is not active(presumably dead), it is possible that the legs had fallen or been cut off, but this is pushing things. The second problem with the creature can be seen on its stomach: the creature has a strange nucleus-like structure on its stomach. There is no such bodily structure that can be seen in the parasite family, or on any of the other creatures which are native to Tallon IV. As with the parasite family, there are reasons to believe that the unidentified creature is actually a metroid. The most convincing detail is the strange nucleus-like structure on the creature’s stomach. While it is unlike anything seen on any life form from Tallon IV, it is very similar to the main body of a larva metroid. And as metroids evolve, the nuclei moves to the stomach. With the right lighting, you can see a clear membrane outside the nucleus structure. As of now the creature takes a split path; either it is a parasite experimented on by pirates, or it is a Metroid. There are a few more subtle hints in the room that imply that the creature is the latter. Most prominent of them is the inclusion of two ‘glitched’ metroids on the lower level. These can be found any time you go to the room, as well as the first trip. 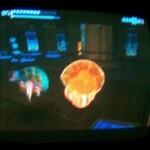 If you recall, Research Lab Aether was the first area in Metroid Prime that Samus encounters metroids. The first one is scanned and behaves typically, but there are two metroids on the lower level you can fight by attacking their tanks. If you attack the tanks the metroids can be scanned to reveal a non logbook record that states: “This High Energy Lifeform is a Metroid: Alpha Type”. This was either a working prototype that never got finished, or a glitch, though the likelihood of it being a glitch is low as Retro knew that Alphas weren’t included in any games prior to Metroid II: Return Of Samus. What is far more likely is that this was a hint from Retro to delve further into this room. This led to the discovery of the creature in the tube in the middle of the room. Scans on the lower level tank reveal it to be a failure, albeit as a Pirate test, but was there another factor that made this fail? Further scans located near the tank but higher up mention metroids vulnerability to cold, but one in particular once again stands out. The scan mentions that metroids should be subdued with ice, perhaps more shocking is that it mentions even metroids that appear to be dead should be included in this protocol as well. In Metroid II: ROS the evolved metroids exhibit a trait that no other metroids in the series have, not even the game prior to it. The metroids appear to stagnate in one spot or location, completely immobile, almost docile until they spot prey in the vicinity and then spring to life and attack. This is likely due to the games engine, but it provides sufficient evidence to make such a claim, because it did happen, regardless of limits in programming. The scan above could be applied to this behavioral trait as it seems that there must have been a reason for this protocol to be established. A live, but stagnate metroid would fit the bill. All in all Research Lab Aether holds a good deal of significance because it is a room that contains some powerful foreshadowing. The Alpha scans foreshadow Metroid II and the room name itself foreshadows the name of the planet in (Dark) Echoes. It wouldn’t be a stretch to think that Retro Studios included an evolved from in here as well. Until confirmation from Retro or Nintendo, this creature will continue to be an enigma. The Secret Evolution. 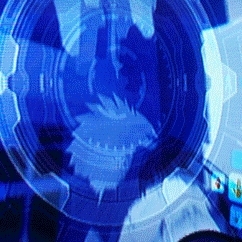 It’s obviously a regular metroid, but the scan implies something else. You can view the older video here. This post was a collaborative effort by Jayon andCannon. The Metroid does not turn into an alpha after sucking on a pirate, it just gets larger, what you see is just a scan that says the metroid is an alpha. 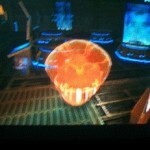 The actual evolved “Metroid” is inside the tube and can be seen in the X-Ray pics and videos. Added a higher quality and more comprehensive video. uhhhhh….whatever happened to that thing about the metroid eating a pirate and turning into an alpha metroid? Will that be done later? That was me, not Cannon. I don’t think I can do it again, and it’s a glitch.